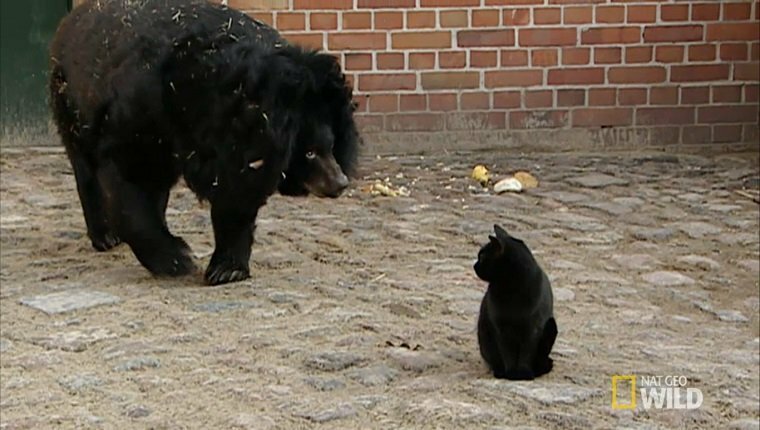 When Muschi the cat first entered the bear enclosure at the Berlin Zoo back in 2000, you might expect that things wouldn’t go very well for her. 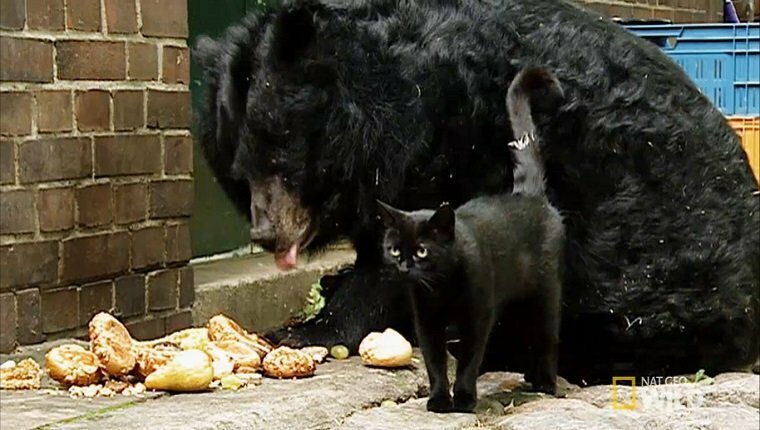 But when Mäuschen took notice of the fearless feline, the 800 pound bear didn’t seem to mind her company. In fact, over the next few weeks, Muschi grew even braver and entered the bear’s nest to cuddle up. Since then, the bear and the cat are inseperable. Mäuschen seems to think Muschi is her little cub, and Muschi thinks of the bear as her mother. They eat together, take long naps together, and stay by each other’s side at all times. The two have formed an unusual companionship and couldn’t be happier. The zoo didn’t initially own Muschi, she just showed up one day. But since she formed a friendship with the bear, she’s become a fixture of zoo life. The keepers care for her just like one of the bears, and she’s glad to have a home with her best friend. Has your cat made any unusual friends? Does your kitty think of your other pets as members of the family? Let us know in the comments below!